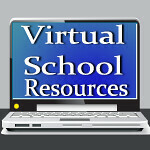 Virtual School Resources: You could lose internet access on Monday, July 9th! You could lose internet access on Monday, July 9th! Before you go running to Snopes.com, I can tell you this is not a rumor. You could lose internet access on Monday, July 9th. Though the FBI has been on this for some time and most of us are safe, it doesn't hurt to check! Thanks to one of my favorite sites, Cool Mom Tech, I found out about this and checked on my laptop. Relieved, I'm not infected with that DNScharger malware. If you haven't checked, go here now to make sure you are safe. It takes a couple of seconds. If you are seeing green, you are in good shape. If you are seeing red, go here for all the info to get rid of that nasty thing. All okay? Good! Now go and enjoy the rest of this beautiful weekend! Thanks to the FBI & Cool Mom Tech for keeping us safe!